Muir is a mobile browser testing app without all the strings of cloud based suites. 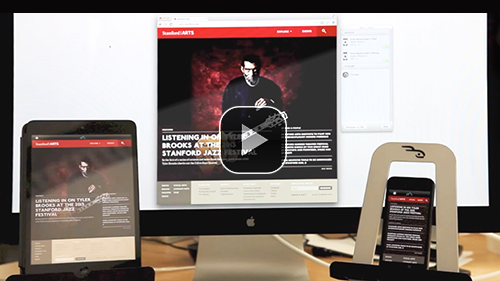 Simply download the desktop app, install the client on your mobile devices, and get to work. Get a brief overview on installation and features. Browse to any web page in Chrome or Firefox. Your mobile devices will follow suit instantly. 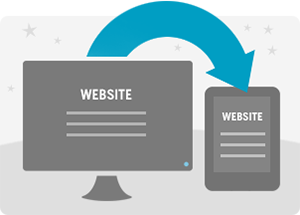 Test responsive designs as you develop. 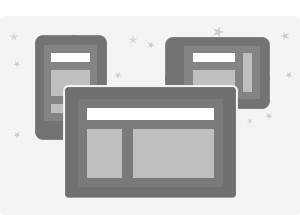 See how each device renders your site. 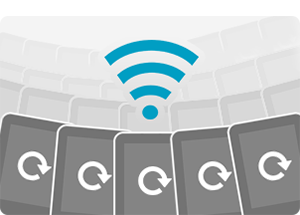 Connect as many devices as you want via Wi-Fi, and have them all sync to your browser. The Muir 1.2.3 desktop application synchronizes your mobile devices over wi-fi. Install for Free for a limited time. Download the Muir client app to your mobile device. Install on as many devices as you like, only $4.99 per platform. Install the browser plugins for Firefox and Chrome to sync live page views to the connected devices. Experiencing technical issues? Check our Resources page. Optional plugins for Coda and Sublime that allow Muir clients to load a given URL whenever you save or publish a file. Want to integrate Muir into your app? Email us. We created Muir to scratch the itch of developing dynamic websites with responsive interfaces across multiple mobile devices. We needed a tool that was fast, would keep our devices alive and awake for testing, and that we could quickly set up and forget about so we could get back to writing code. Mobile client support for iOS, Android, Kindle and Nook operating systems. Check out our support page if you have questions or issues with Muir. | Have some feedback? Hit us up.